Explora combines several databases for your research needs. Start here when you need a wide variety of results. Use Academic Search Elite when you would like your results to feature results from academic journals. Use Learning Express to access job and career information and practice tests for the SAT and ACT. Students will make their own log-in once on the Learning Express page. Choose one of the below options for a more specific topic search. Middle Search Plus will give you results from middle school level resources including biographies, history, and primary resources. Search MAS Ultra for magazine articles written for high school students about topics in history and science. Topics covered in the SRC include biology, chemistry, earth & space science, environmental science, life science, physics, scientists, technology and wildlife. Search Newspaper Source for full text results from more than 40 national and international newspapers. Need help with citation? Try one of these resources! Use Purdue Owl to find formatting for APA or MLA citation. In addition to this, Purdue OWL offers writing guidelines. Make citation, well, easy with EasyBib. Enter some basic information and EasyBib will format it for you! BibMe can help you create a bibliography, resource list, or works cited. Mrs. Dewhirst's preferred citation site! This easy interface will help you create your Works Cited quickly. 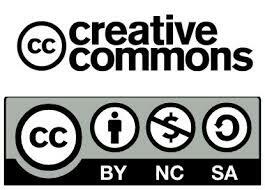 Creative Commons is an alternative to copyright. CC Licenses are becoming more and more common. Knowing these symbols can help you know how you are legally able to use an image. The United States copyright office website can help you to better understand how copyright works and why it matters. Choose Biography.com when you need to find information about people in history or people who are well-known today. The Library of Congress is an excellent resource for primary sources. Choose this site if you are looking for historical documents. Britannica School is filled with articles, images, videos, and more. This link will take you to the middle school version, where you can switch to a high school or elementary view if needed. Spartacus Educational is another excellent resource for primary sources. Each topic provides you with an overview with links to primary sources below the main article. 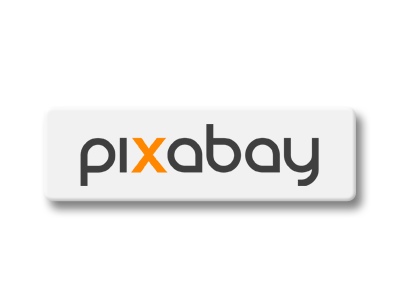 Pixabay provides researchers with free, high-quality images. These free images do have copyright or Creative Commons licensing. Also visit the Teacher Resources page on this site for additional reliable web resources. 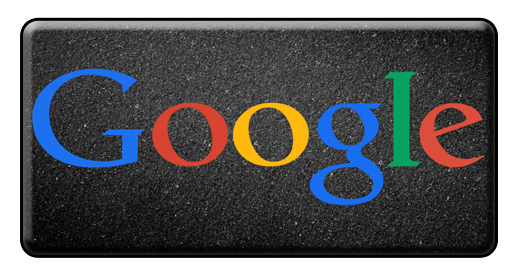 Google can be a great place to start your research. 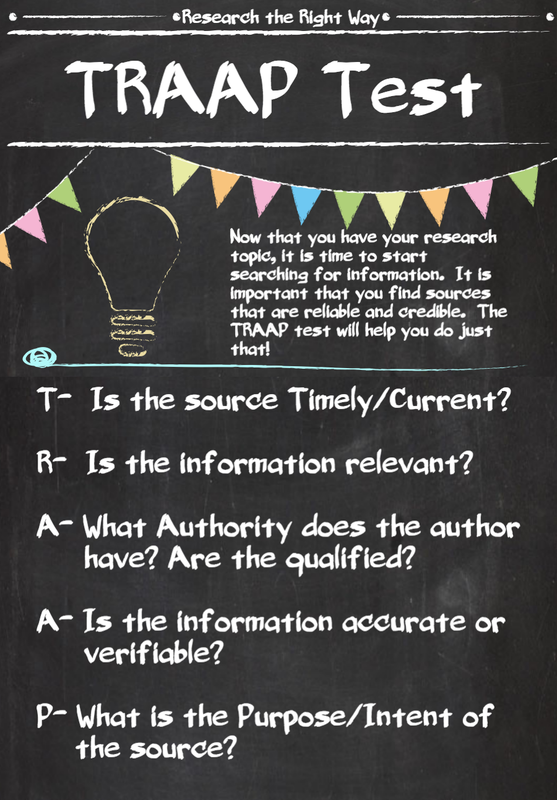 If you are going to use resources you find via a Google search, it is important to perform a test of reliability on the sources you are considering. Please see the TRAPP test below to help you choose your resources. Download the below file to help you analyze the sources you are considering. Professional Development Collection includes full text for nearly 520 high-quality education journals. The Teacher Reference Center will provide you abstracts for peer-reviewed articles from over 280 journals related to education and education topics.